Well, 2014 2015, you were quite a year, and not always a very positive one. But in the midst of all the chaos and horrors that you presented to us, you also gave us beautiful and amazing stories, and I thank you for that, and hope that 2015 2016 gives us a break on the heartache front. Here's to 2016 being just a little better and brighter than the years that came before. And now, for my annual reading round-up! Total Books Read: 74, a significant decrease from my 108 in 2014, but, well, life. This is actually the fewest number of books I have read in a year since 2008, when LibraryThing tells me I read a grand total of 17 books. This is exactly the same percentage as it was last year. I am usually pretty even on reading books by men and women, though I have started to skew slightly more towards women in recent years. I still don't worry much about this statistic, except that most professional review sites focus much more on reviewing books by men, so I like that bloggers tend to be the opposite. This stat really tells the story of why my reading is down so much vs prior years. I now walk to work (though it's still about a 40-minute walk) rather than driving, and for whatever reason, it's hard for me to focus on audiobooks when I'm walking. 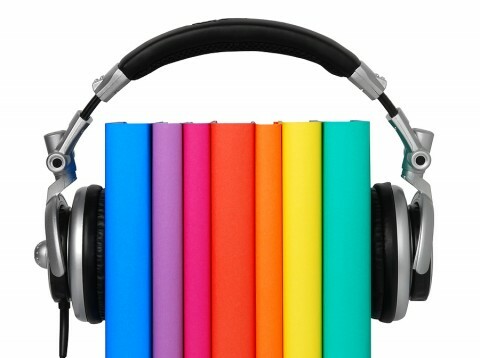 I read less than half the number of audiobooks I did last year, which is unfortunate because I really like audiobooks. I hope I find a way to fit them back into my life. Not quite at my goal of 50%, but pretty darn close! You can do it, too! This is slightly higher than the absolute number of non-fiction books I read last year, and considering I read more than 30 fewer books, that's not bad! A lot of these were somewhat "lighter" books, memoirs and biographies, but they still count as non-fiction to me, and are just as important to read because, now more than ever, it is important for us to have the empathy to understand lives lived that are not the same as ours. Oh, no! This is the lowest this stat has ever been (this is a direct quote from last year, when the number was 13). This year, I also only really read from my shelves at the very beginning of the year, and then completely ignored those shelves and focused on the siren call of the library. My excuse is the same as it was last year - my reading tastes have changed drastically, my shelves are not very diverse, and well, there are a lot of good books out there that I don't own. My unabated love for the library continues. I have purchased very few books this year, and the library is why. So, even if I am not reading too many books from my TBR pile, at least I am not adding to my TBR pile, right? Glass half full! I am so excited to see what else she has in store for us, with all her feminism and diverse casts and Asian folklore and all the rest!! Prunella, from Sorcerer to the Crown. She admittedly wasn't super well-developed, but I have high hopes for her. Ada Lovelace from The Thrilling Adventures of Lovelace & Babbage. Oh, if only those adventures had been real! I struggled in every possible way with A Brief History of Seven Killings and had a ton of trouble keeping all the characters straight in my mind. But my goodness, Marlon James, every character had a very distinct voice, and I applaud your ability to do that with so many characters. This one is tough because I don't really read books with the expectation that they won't impress me. But The Miraculous Journey of Edward Tulane (review forthcoming) was an even more wonderful read than I thought it would be. 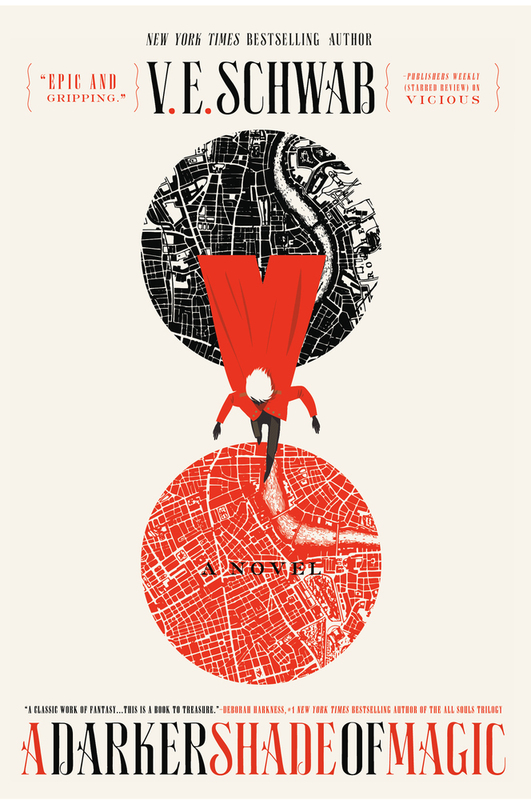 The Magician's Land, by Lev Grossman. Thisseries ended really strong. 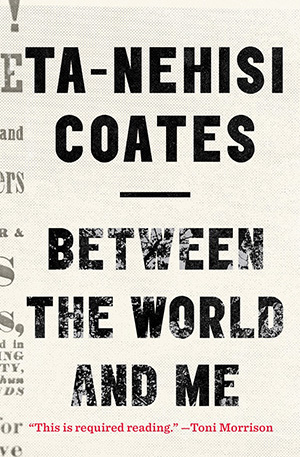 Between the World and Me, by Ta-Nehisi Coates. If I could send one book to every presidential candidate, it would be this one. Particularly Donald Trump. But I get the impression Donald Trump doesn't do a lot of reading. The Autobiography of Martin Luther King, Jr. (Review forthcoming) Good things can happen. It's important to remember that. The Shepherd's Crown, by Terry Pratchett. For obvious reasons. Very few books let me down this year, actually. But here's where I'll give Azar Nafisi's The Republic of Imagination a shout-out. Such a passionate voice on the importance of fiction in our lives, and a thoroughly engrossing read. It's way more fun to read essays about books than you might think. A Darker Shade of Magic, by V.E. Schwab. It is so attention-grabbing and so evocative of the story, too! Shadow Scale, by Rachel Hartman. 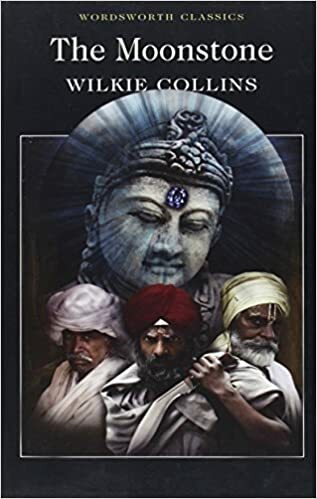 I tried this one on audiobook first and it completely failed for me, but then I tried it in print, too, and it still didn't work. I just got very bored, which disappoints me because I think Hartman covers a lot of important topics in her books. The Encyclopedia of Early Earth, by Isabel Greenberg. Seriously, this book was absolutely stunning. Admittedly, there were only 8 that I got to on my shelf, but The Moonstone, by Wilkie Collins, really delivered. Excellent story! I usually do a list of the best books I've read in the year to end this wrap-up post. I am not sure why, but I just don't feel like doing that this year. In going back over the books I've read over the past twelve months, I feel like there are many that I don't remember well at all, or that I remember more for the emotional impact vs for the writing or the plot. This is probably true every year, but it feels more true now than before. I have read some truly wonderful books, ones that made me laugh, cry, and view the world just a little bit differently (or a lot differently). I hope to continue reading books that challenge me and my assumptions. If you have any recommendations that you think would fit the bill, please let me know! I would love to seek those out. And, of course, because it's important to keep a sense of humor and fun, let me know about the books that just helped you escape when you really needed that, too. Wishing all of you a wonderful 2016! See you soon. The Republic of Imagination is on my list for next year, and I so look forward to getting more recommendations from you. Happy New Year, friend! I actually liked it too! It seems to be one that people either love or hate. Impressive and useful round up. I am not so thorough, partly because my annual reading list goes April-April for reasons I now forget! And good to see acclaim for A Brief History of 7 Killings by Marlon James which I am about to get into. Yay great reading year! I basically have all the great 2015 books still to read, so next year I'll read all the awesome poc ones like Coates and Sorcerer (btw try her short story collection, I'm reafing a story every couple of weeks, they are amazing and weird!). Happy New Year, Aarti! Was just about to start work on my review of the year, and your (re-posted)-post made me chuckle. I can never listen to anything while walking so it was interesting to hear of your audio-book woes. I set myself a challenge this year to read a set amount from my TBR shelves, although I didn't reach the figure it did up the TBR reads fairly dramatically. Like you though, library books got in the way (in the nicest possible way). Aargh! I bought my own copy of A Darker Shade of Magic so I could read it right away and it's been sitting on my shelf for months now. I started a draft post of my favorite books and audiobooks of 2015 early in the year and then stopped adding to it mid-year, so I never even got my favorite audiobooks posted. Sometimes it's best to just not do it if you're not feeling it! Here's hoping 2016 is better than 2015 for everyone! Happy New Year, lady! I wish us both a year full of marvelous books! Please, yes, to the less heartache this year. Even though you may have read less books, the ones you do mention sound like very worthwhile books to read, Aarti. I haven't read any of them, I'm sad to say. But I do want to. Happy new year! May 2016 take you new places and introduce you to new friends through the pages of your books. Your comment about reading your shelves versus reading from the library rings true to what I think my challenge will be this year. I have a lot of unread books, but my reading has changed since I purchased many of them and so they're not as interesting and the more diverse selections I can get from other places. So I think it'll have to be a balancing act this year... cutting down on my own books while still reaching for new and varied voices. Your had a great year considering how your life changed in 2015. I read the Coates book yesterday in one sitting. I think it should be required reading - so powerful. I have got to read The Sorcerer and the Crown. Every time I go to get it something else crops up that's more urgent for some reason. Also, love Sydney Padua's Ada Lovelace. Loved that whole book. Happy New Year! Hope there's many more great reads (and listens) in your future. I think I had about 80 books read, so 74 sounds good to me. I still read more books by males than females and while I have increased the number of books by females I read this past year, I'd like to increase it a lot more this year. I'm working on the percentage of books by diverse authors, especially thanks to you and while the numbers aren't great, they were much better than the year before. I check out most of my books from the library too. Of course, working at one helps.